If you are down near the mouth of the Yarra in Newport or further west out near Werribee, you would have noticed how summers have been getting hotter. It has become more important to be able to keep your home cool on those very hot days. Many people are looking for a cooling solution that will provide an economic system that is reliable and environmentally safe. Evaporative cooling makes up a substantial part of the market for air conditioning systems, around twenty percent in Australia. There are a lot of systems that have been designed to cool the whole of the house. This means that there is not only the system but also the associated ducting and vents that allow the air to flow throughout the property. Others may struggle with using them effectively and may prefer the more basic operating requirements of a refrigerated system. Some may even combine the two for achieving different results for different areas of their property. There are many people who are very happy with their evaporative systems and you are able to find many positive reviews. If you need evaporative cooling, Newport residents have been using a supplier who has the skills and knowledge to install a quality system for an affordable price. The principle behind evaporative cooling is simple. Energy in the form of heat is taken out of the air by being used to turn water from its liquid form into its gaseous form, water vapour. This process is able to reduce the temperature of the air, but the system also provides for the flow of fresh air through the property that also provides a cooling sensation. The process for cooling the air simply requires water, suitable pads that can hold water and allow the air to flow through, and a fan that will force the air to flow through these pads. There are a number of important factors that impact on how this system is able to function. The most important is that they are most effective in environments where the humidity is low. Where the level of moisture in the air is already high they are not able to make much difference to the temperature of the air. For the installation of evaporative cooling, Werribee and the surrounding district is a suitable location where the system will be able to operate effectively. They are not able to reduce the temperature as rapidly as a refrigerant based system. However, an evaporative cooling air conditioning system does not rely on toxic and potentially ozone-layer damaging refrigerant gases or a refrigeration system with a compressor that seems to love consuming electricity. They can use around fifty percent less power than a refrigerant based system and as a result, contribute less to the generation of greenhouse gases. There are some refrigerant based reverse cycle air conditioning systems that are power efficient but the majority of refrigerant based systems available are very energy hungry. Evaporative systems use water. This will usually mean that potable water is plumbed into your system and will evaporate as part of usual activity by the system. This loss of water will be higher on hotter and dryer days. This is a cost to the owner of the system and the water system should be monitored to ensure that is operating properly. For evaporative cooling in Werribee, you may find the system uses more water than in Newport. The system will often be located on the roof and will use a fan that draws in fresh air from outside into a duct. The air is forced through the cooling pads. Water is pumped from a reservoir located in the system that is used to keep the cooling pads wet. As the air passes through the pad, the heat energy is transferred from the air to the water and water vapour is released. This makes the air moist and cool. It will then flow through ductwork into different areas of the house where it enters the rooms through vents. The air must be able to flow effectively through the property. It is important the damp air is not allowed to simply accumulate in rooms as the moisture in the air will potentially cause dampness to form on walls, ceilings, furniture, windows, doors, and door frames. 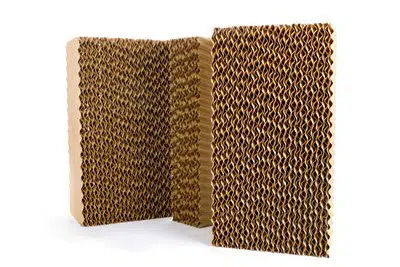 This could enable mould growth and swelling of wooden items. Evaporative coolers require air flowing in and then moving out of the property. 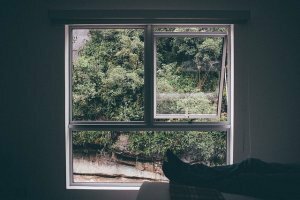 Windows should be opened sufficiently so that air flows steadily out which maintains a suitable balance and ensures the system functions at peak efficiency. For evaporative cooling in Newport, you may adjust your air flow and enjoy breezes coming off the bay on some days. An evaporative cooler must be a suitable size for the property. It is better to choose a system that may be slightly larger than you need for your property. The additional cost for its purchase will often seem small with the increased comfort levels you can achieve. Unlike refrigerated systems, an evaporative system that is slightly larger will not affect the efficiency of its operation. It must be able to push through sufficient air to make your home comfortable and on hot days this becomes more difficult. It is important that the system is adjustable, particularly in relation to airflow and temperature, to ensure that you are able to take advantage of all of the benefits that the evaporative process can bring. The system must be regularly serviced. Usually, it is recommended this is done every six months to ensure that it is able to function efficiently and to extend the life of your equipment. There are some simple things that you are able to do to maintain your system. If you keep these clean there is less opportunity for them to be clogged by pollutants and it can help slow down the build-up of minerals from your water. The system relies on the flow of air through these pads so the cleaner they are the better the air flow. How often you need to clean the pads will depend on factors such as the amount of dust you have in your air and the level of mineralisation of your water. The system functions more effectively with clean pads. Even with regular cleaning, over time they will become clogged. This will limit the air flow and you will probably notice a reduction in the efficiency of the system. The level of dust and minerals locally will impact on how long you can wait before having to install new pads. Monitor the efficiency of your system to help you decide when it is the best time to make the change. Water contains minerals and that water will over time leave some of those minerals on your cooling system in the form of a layer that is known as a scale. It can impact on the efficiency of the system that supplies the water to your cooling pads. Clean out the scale from your system regularly to ensure it can operate effectively. Carefully use a small scraper or a suitably sized and shaped steel wire brush for this and ensure that you do not damage your water system. The water used for cooling is usually stored in a reservoir inside the cooling unit. This reservoir may empty itself once your machine switches off. In other systems, it will remain full. If it does you will need to regularly drain and clean that reservoir. This needs to be kept clean so that you ensure it holds the correct amount of water and that the water is able to flow easily. The water flows from the reservoir to the cooling pads. It is important that this system is clean to ensure that the water is able to flow freely and that the pads receive the correct amount of water for the system to operate at peak efficiency. Keep the system clean and the water will flow as designed. There will often be a pump that assists the water in flowing from the reservoir to the pads that are used to cool the air. This pump needs to be lubricated regularly to help it to operate effectively. It is important to follow the instructions on using lubricants and not add too much. It is worth carrying out a quick inspection of the system to make sure that all parts are in suitable condition. If you notice any problems, and if they are not simple to repair, then it is sensible to contact a technician to come and do the repair. While they are there they should also carry out an inspection of your equipment to ensure that there are no other problems likely to occur. 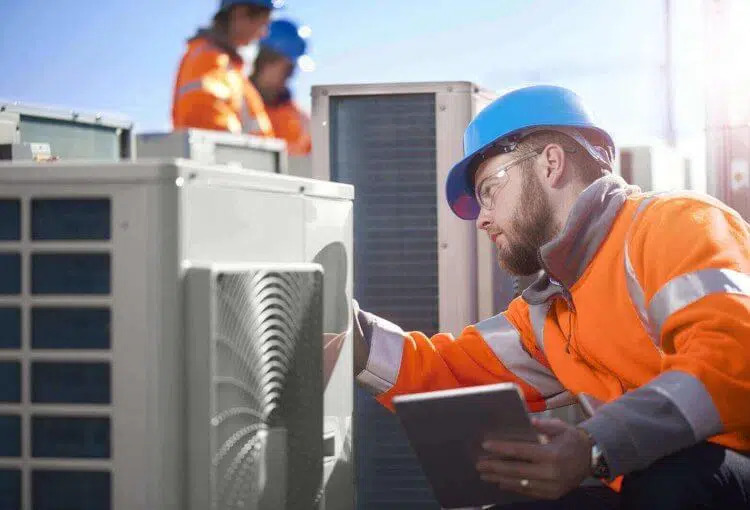 For repairs of systems that provide evaporative cooling, Werribee residents have been accessing the services of Everlasting Air as their technicians are reliable and provide quality practical advice. The system relies on the pads receiving the correct amount of water to operate at peak effectiveness. If they are not, then it may be an issue with the water system not being clean. Check all parts of the water system. If you are unable to identify the issue, you may need to call in a technician to help you identify how to rectify this fault. The overall efficiency of the system will be improved by installing a thermostat and system management device that will ensure that your system is only working as hard as it needs to. On hotter days it will have to work harder and on cooler days the output can be reduced. It is important to use common sense when it comes to opening your external doors and windows. If you have direct hot sunlight shining on windows, then it is advisable to use blackout curtains or blinds to reduce the impact. Simply opening the window and at the same time allowing the sun to shine directly in will cause a build-up of heat that will limit the effectiveness of your cooling system. Try to open the doors and windows on the cooler sides of your property and keep more of them shut on the hotter side. There are evaporative cooling systems that are able to be controlled by an app. You can simply download it and use it to turn your system on and off, and also change system settings such as temperature. You can do this while you are in the home or even if you are anywhere else, as long as you have a web connection. You no longer need to have a hand controller, your phone can be your controller. This means that you can always come home to a cool home. If you have to drive through heavy traffic on a hot day it can be annoying to then have to wait for your home to cool down when you finally get there. But with an app, you can communicate with the system and have it switch on your cooling system before you get there. Walking into a cool house after a long day can be one of those very special summer pleasures. You can connect with digital assistants such as Google Assistant, Google Home, and Amazon Alexa using Wi-Fi. You can even use voice controls with these devices if you want. They can then be used to manage the operations of your cooling system. If you want to adjust the temperature setting you can do this easily. By taking advantage of your smart controller you can avoid any unnecessary use of your cooling system. You can enjoy the benefits of a system that is able to cool the house while reducing the money you need to spend on electricity. Everlasting Air has been providing quality services to resident across the whole Melbourne including the south-west region. Contact us today on (03) 9335 2900 to take advantage of their services and enjoy a cool home during the baking heat of our summers.